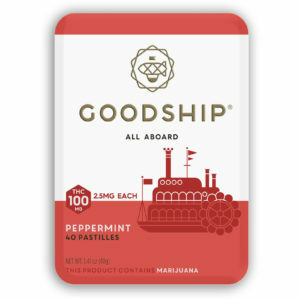 If you are living in the state of Washington and looking for *the best* low dosing product on the market, the Goodship Peppermint Pastilles are the ones for you! There is excellent value with 40 mints per box and only 2.5 mg of THC per mint so the dosing is perfect for new cannabis consumers looking for a replacement to their evening glass of wine, or just to take the edge off. Another thing I like about the Pastilles is the variety of flavors. My personal favorite is the peppermint but it also comes in tart cherry and lemon-lime. The only negative feedback I have to say here is with the packaging. Despite the nice looking mint tin, when you open that baby, they are divided into 10 individual packets of 4 pastilles each. Once you open the little plastic packet, that’s it. There’s not much you can do to store the other mints, which is why I give it a slightly lower rating on labeling/packaging. I ended up buying a little pill box to keep them in but they also get little chipped away and parts start to flake off. This is really an area for improvement, but overall I give these great accolades for flavor, consistency and effect. 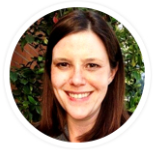 Rebalan is a wellness company focused on the use of cannabis in low doses as an effective way to treat stress and aid sleep.